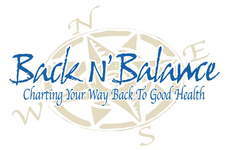 Serving Clearwater, Dunedin, Palm Harbor and nearby communities, Back N’ Balance Chiropractic and Wellness Center focuses on helping you become pain-free, healthy and functioning at your top potential. Dr. Ross Batiste graduated from Marshall University in 2010 where he studied Psychology and Exercise Physiology. He earned his D.C. from Palmer College of Chiropractic (FL) in 2014 where he was voted by his peers to be the most outstanding future alumni of his class. Dr. Ross separates himself from other Chiropractors by his thorough exam and ability to perform a broad range of therapeutic procedures. He recently received certification as a Certified Medical Examiner (CME) which allows him to perform Department of Transportation (DOT) Physicals. Dr. Ross is one of the few Chiropractic Physicians who has passed the rigorous examination process in order to be certified. Ever interested in the inner workings of the human body, chiropractic seemed to be a natural fit for Dr. Ross. His focuses on exercise, proper nutrition, and healthy supplementation have allowed him to provide a very well rounded healthcare for all patients. 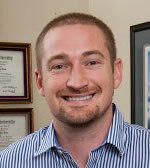 During his education at Palmer College of Chiropractic, Dr. Ross extended his knowledge of health and wellness by studying Traditional Chinese Medicine through the University of Bridgeport and is certified in Acupuncture! He also received a Fascial Movement Taping I & II certification through Rock Tape in 2014, allowing him to stabilize, support, and enhance the musculoskeletal aspect of the human body. When Dr. Ross isn’t in the office, he enjoys cooking with his wife Amy and walking the Pinellas trail with his dog Nero.